If you travel for business, then a good carry on bag is a must. Currently, you’re allowed to carry bags measuring up to 9 inches deep, 14 inches wide and 22 inches high onto commercial flights with most U.S. airlines. There are plenty of different styles, brands and special features to choose from. So if you’re in the market for new carry on luggage for your business travels, here are some of the top options to choose from. For a solid rolling carry on without a lot of flare, this suitcase from AmazonBasicsincludes a protective shell, lined dividers and double spinner wheels for easy transport. At $50, you can get a size that’s TSA-approved. Or you can purchase a matching set for those times when you need a bit more space. 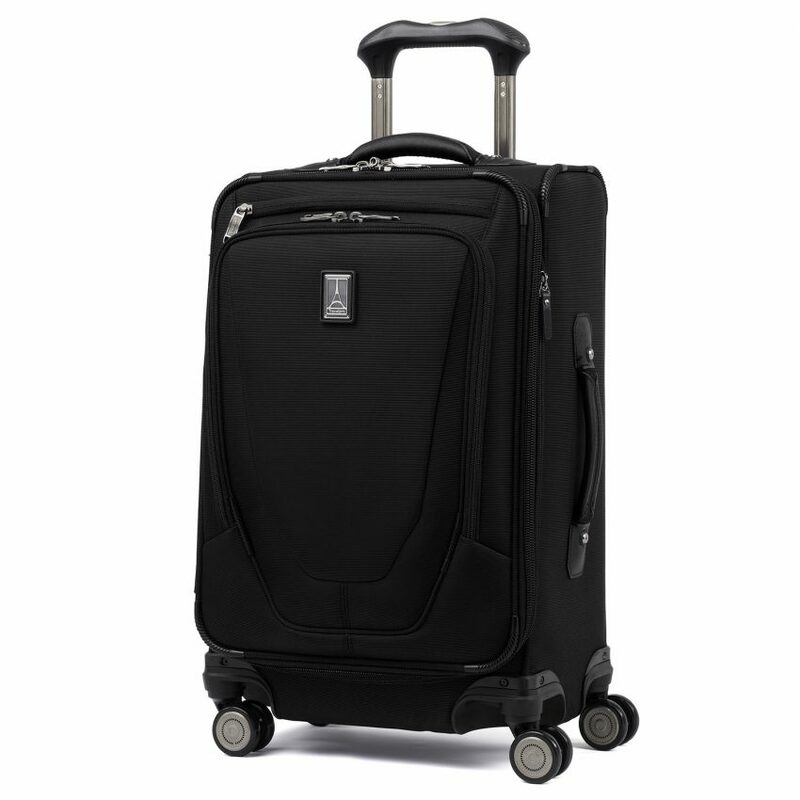 Another solid option, this rolling suitcase from Travelpro features spinning wheels and an expandable polyester exterior that’s also stain-resistant. You can also customize the height of the handle for comfortable transport. It normally retails for $260. For a lightweight options that still keeps your belongings protected, this TravelCross roller is just 19 inches tall and includes a separate compartment for you to keep your laptop or tablet. You can get it for just under $70. For a feminine option with some style, this shoulder bag from Blueboon is sized as a carry on and comes in a number of colors and patterns. For $35, it’s large enough to carry your laptop and a couple of clothing items and toiletries for a quick business trip. For a stylish taken on carry on luggage, this option from Kenneth Cole has a unique look that is still sleek and professional. Made with a lightweight textured case, the suitcase is currently priced at $95. 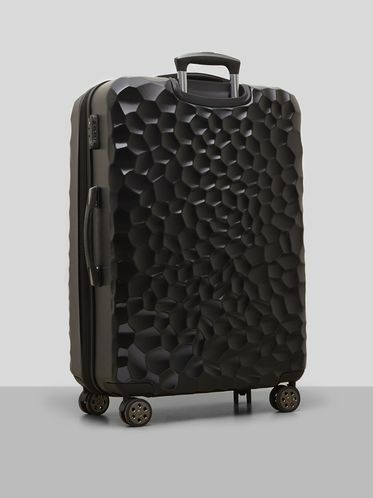 Another hardshell suitcase, this option from Travelers Club features metallic silver, gold and copper exteriors with spinning wheels and expansion capabilities. It’s also relatively affordable at $40. This luggage option from Rockland actually includes multiple bags that could work as carry ons. You could use the larger rolling bag and/or carry the smaller one on your shoulder. At $40 from some retailers, you get quite a bit for the money. 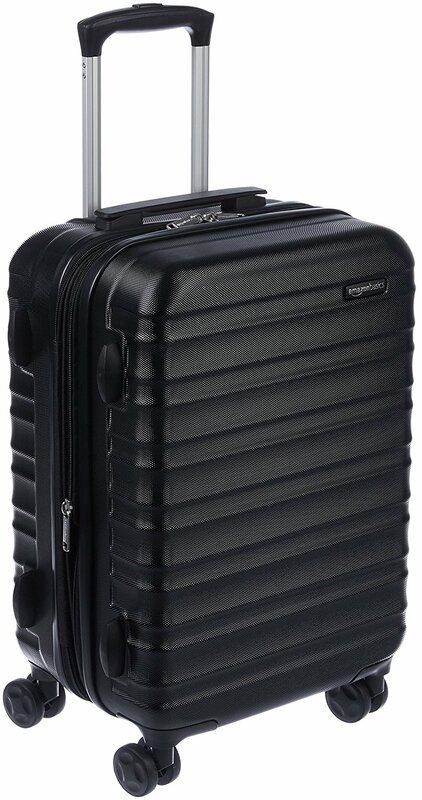 This suitcase from American Tourister features a hard case but is still expandable. It also comes in a variety of colors and patterns, so you don’t have to sacrifice style for function. It retails for under $70. This suitcase from Crew is actually made for flight crews and pro travelers that has been adapted for civilian use. It has smart features like a USB port and power bank pack to keep you productive even when traveling. It goes for $230. If you prefer to keep your bag under the seat in front of you rather than in the overhead compartment, this Zegur quilted bag could work. For $70, the quilted back offers sufficient storage that still fits in that smaller space, while also offering wheels for easy transport. This suitcase from Delsey offers a sophisticated look, hard exterior, silent wheels, and even a locking system to keep your suitcase from rolling away. It is priced at around $200. If you prefer a duffel bag format, the iLotusBAG is a waterproof carry on that comes in multiple colors and can be easily folded to fit into other compartments when not in use. At just $12, it could be a decent options to bring on trips where you might have to pack extra items on the way home. If you’d rather carry your luggage to your destination instead of roll it, then you might consider a large backpack like this one from AmazonBasics. Reasonably priced at $50, this model features multiple compartments, padded sides, removable straps and plenty of other functional features. A solid option with hard sides, this suitcase from Samsonite comes in a few different colors and retails for between $70 and $110. It also features expandable sides and pockets for easy organization. This luggage from Goplus offers multi-direction spinning wheels, a water and scratch resistant exterior, an elastic belt and zipped dividers on the inside. It also comes in a few different colors, with pricing around $40. For a retail price of $140, this Olympia wheeled suitcase has an aluminum locking handle system, spinning wheels and a padded interior to keep all of your belongings safe. Want a bag that does all the work for you? Modobag is a carry on that actually rolls on its own. You can even ride the motorized suitcase through the airport if you want. But it’ll cost you nearly $1,500. Or perhaps you prefer to walk — but you still don’t want to cart a suitcase around. 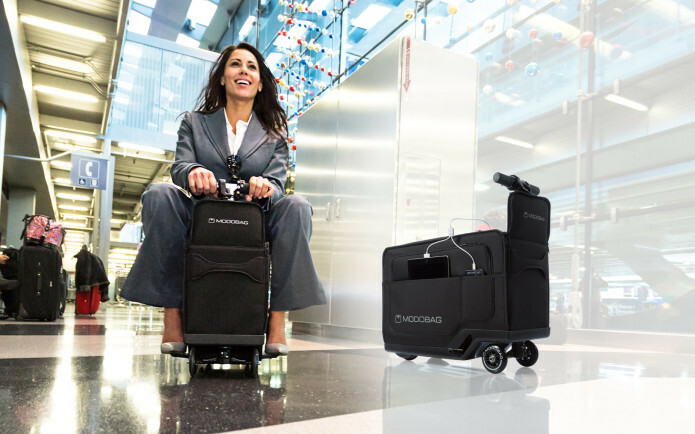 Cowarobot R1 is another motorized suitcase that can actually detect your movements and follow you through the airport. Coming soon, this model is expected to run for about $500. 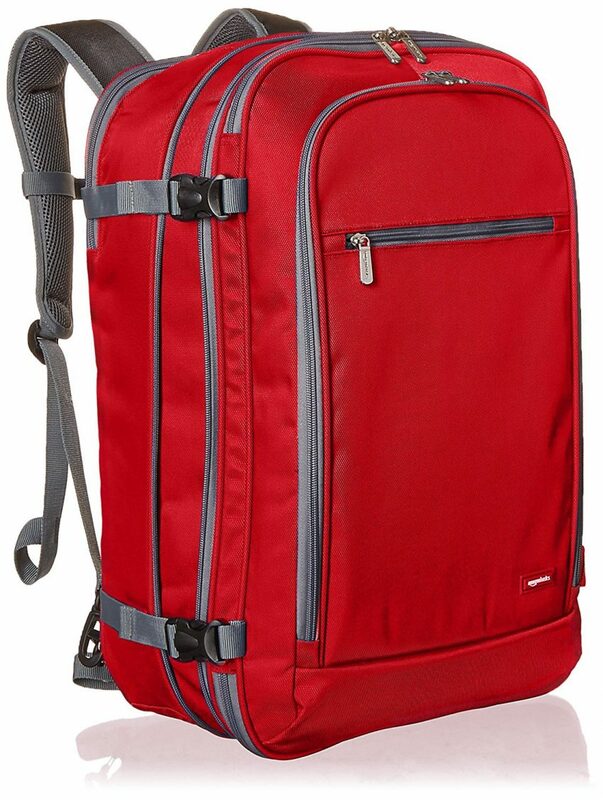 A rolling suitcase from SwissGear, this option is made with a durable nylon material and includes multi-directional spinner wheels, a locking telescopic handle and reinforced carry handles. You can get it for between $70 and $110. 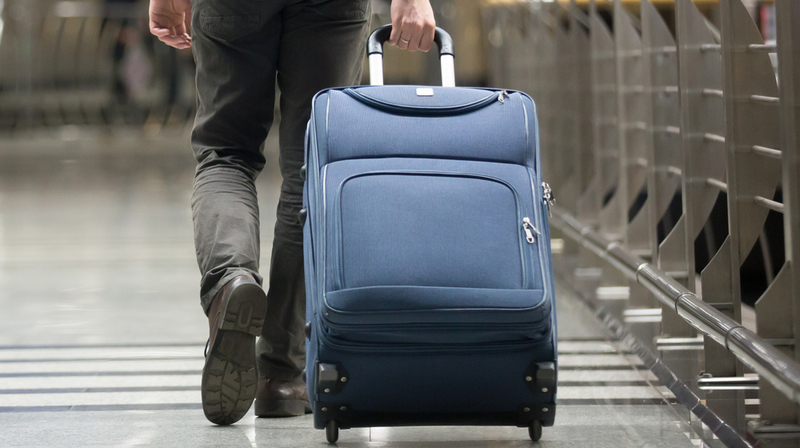 A lightweight suitcase from Travelcross, the Philadelphia model has a hard shell, spinning wheels and a TSA-approved locking system for practical security. At $55, it’s also a relatively affordable option.